I’ve been trying to crack the code for selling books online without spending a fortune on “bestseller campaigns” or spending thousands of hours pestering friends to buy books. So when one of my trusted consultants suggested I sign up for Goodreads and Bookbub, which I did. Goodreads is a wonderful service that lets you know what books your friends are reading and recommending. They also let you rate books you’ve read so they can recommend books for you. Both ideas are superb! BookBub is a clever service that lets you know which books are available for free or just a dollar or two on Amazon. I simply let them know which genre books I like and they send me an email every day with dozens of suggestions – all are free or very low cost. Well, I was thrilled. The very first day, I downloaded three free books! Then the second day, BookBub sent me an email with another dozen or so books in my genres that were equally cheap. I didn’t download any of them. Because I already had 3 books on my iPad that I hadn’t even started to read! Then came day two and guess what? BookBub sent me another email with more than a dozen other books that fit my profile – all free or low fee! I didn’t download any of them either because I still hadn’t read any of the first books! I know that BookBub is going to send me another email today with another dozen or so books – and I wonder if I will even open the email! I have a feeling that I’ll be unsubscribing from BookBub in another day or two because I can’t possibly keep up with all the reading! Lest you think I don’t read, just the opposite. I read a book a week, on the average. That puts me in the upper 10 percent of the population. Most people don’t read one book a year! 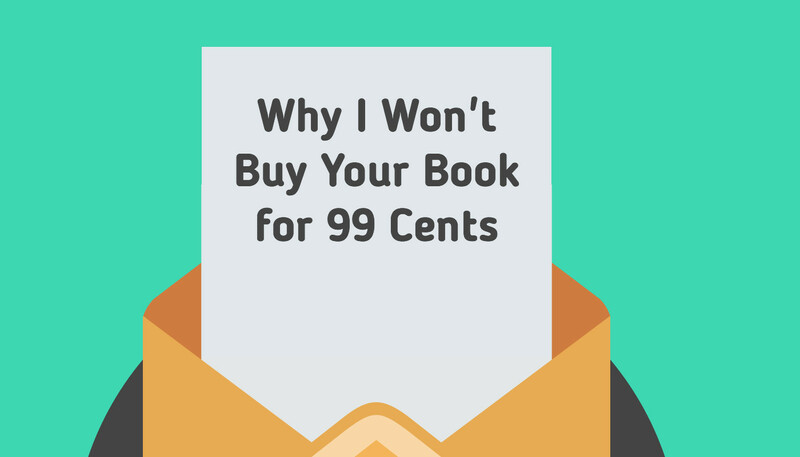 Even though I admire BookBub for what they are trying to do – get attention for authors and get more people to read books – I won’t pay 99 cents for your book. I can’t see how any one author is going to stand out from the hundreds of offers made each week. So, in my continuing quest to crack the code for book sales, I’m afraid I’m going to take a pass on BookBub. As for Goodreads, it seems that nearly every day they send me an email showing me the name of a book my Facebook friends are recommending. I like that because it’s a recommendation from a person I know. It also gives me an insight into that person. But so far, I haven’t bought a book they’ve recommended. That’s because I’ve been reading on my own. In case you are wondering, the book I just finished over the weekend was “Where’d You Go, Bernadette,” by Maria Semple. I highly recommend this lunatic romp! I found it at my local library. It was listed as a staff favorite.